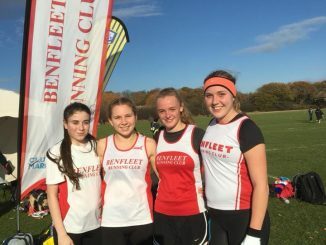 From left to right: Sinead Clark, Kiera Tippett, Grace Goodall, Genevieve. In the mens race we came 4th versus 10th in the last Saturday version improving our points from 518 to an impressive 220. In this event 6 men score, however we only beat Springfield Striders by 2 points & Ilford by 9 points so everybody in the team had an impact on the final result. Those of you who we watched sprint to the finish line to gain that 1 extra place your efforts were rewarded! 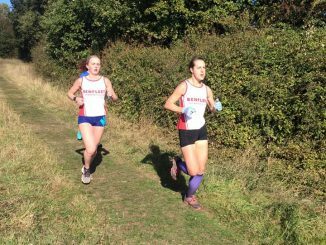 In the female race we came 6th, 3 places better than Horseheath with Charmaine Sterling being the 1st BRC lady home in 23rd completing the 5.7k course in 25.13 seconds followed by Jacqui Watson just 30 secs behind. 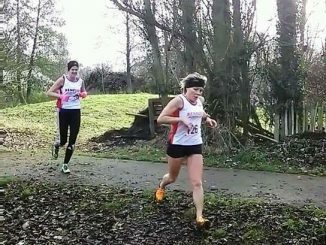 Next was Nikki Leigh in 44th with Nicola Evans as the final points scorer in 73rd. We also had a fantastic turn out in the juniors with some great personal & team performances. In the Girls under 13 we had Erin Vernon who finished 20th followed closely by Lucia De Cristofano in 22nd next was Leah Hampson-Long in 36th who just pipped Akra Shofiuzzaman in 37th. Having 4 runners in the category meant the girls scored 115 points and came in 5th of the 10 clubs represented. In the under 15 boys we had Archie Connors finishing 17th a full 10 places above his last performance despite according to his mum being out the night before! In the under 20 male category we had 2 runners, Charlie Sullivan in 20th competing the 5.7k course in in 21.29 seconds and Ethan Douglass in 39th in 25.43. Last but definitely not least we had the under 20/17 girls who had a fantastic run & came in 3rd from 13 teams represented in their category. 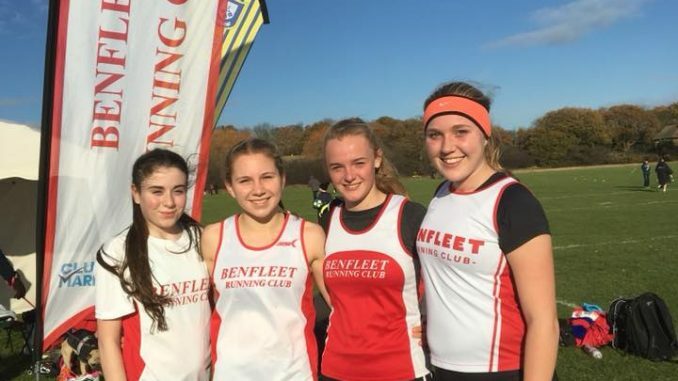 Sinead Clark was 4th home followed by in 17th Keira Tippett, 19th Grace Goodall & 33rd Genevieve Pate resulting in an impressive 73 points and only 8 points behind Southend in 2nd. Well done and thank you to everybody who ran or turned up to support the club on a cold winters day!